The roots of this brewery dates back to May 1892. It was a time when every brewer brewed its own special beer. It was no different in Bellegem, a rural village in West Flanders within a stone’s throw of the French border. In 1938 "Ghinst Pils" changes to the name "Bockor": a contraction of the German word "Bock" and the French word "or": the golden pint is born! The name 'Brouwerijen Omer Vanderghinste' however, is only changed in 1977 into Brouwerij Bockor. This family grounding has always been the basis for the dynamic and creative enterprise that typifies the brewery. This is evidenced by the launch of the Jacobins Geuze in 1970, the Jacobins Kriek in 1983, the Jacobins Framboise in 1986: three great beers brewed with young and old lambic. To get along with the trend, the brewery launches in 1998 for the first time its "Kriek Nieuwe Oogst". A fresh beer brewed with the first cherries of the new harvest. The beer is commercialized with attractive promotional items for the pubs and quickly seduces the consumer with its young, fresh taste. But the brewery goes further. In november 2002, the Kriek Max makes its appearance at the trade fair in Ghent. Kriek Max is a success and therefore the Max range is extended with the Framboise Max, the Max Passion and later also Rosé Max. But the real success is due in late 2008 when 120 years of craftsmanship and five generations of brewing tradition are gathered into one unique beer, OMER. Traditional Blond. This blond high fermentation beer is a hit. 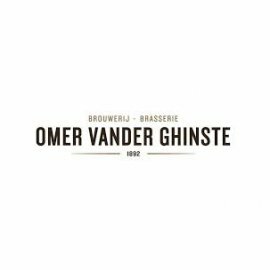 In 2009, OMER wins the gold medal at the European Beer Star Awards in Germany and in 2010 the gold medal at the World Beer Cup in Chicago, USA. Brewery Bockor remains one of the most progressive breweries in the South West Flemish region and knows how to strike a balance between modern technology and traditional craftsmanship. Brewing beer is a question of resting, a question of maturation… Nature takes all the time it needs to give us the best quality ingredients: barley malt, hops, wheat and water. With plenty of dedication, patience and skill, our brewmaster takes these fine ingredients to a unique brewing process. Brewing is always a matter of combining modern methods with age-old traditions. All this should be done in the best hygienic conditions. Brewing exquisite beer is, and always will be, a question of time and patience. Not surprising then, that beer always tastes so nice when it has been given plenty of time and care.